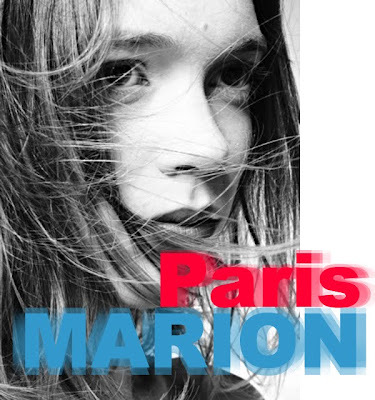 Marion Roussignol is with WM Paris. PR: The best place to eat in Paris. MARION ROUSSIGNOL: Depends on your mood, occasion … as an Italian food lover I’ll recommend Fuxia rue François Miron for the Melanzane alla Parmiggiana or Little Italy Caffe rue de Montorgueil for all pasta lovers. French brasserie, go for Chez Janou rue Roger Verlomme, try the suggestion of the day ! PR: The best place for a quick breakfast? MARION ROUSSIGNOL: Home ! A quick bowl of a muesli-cereal combination works perfect for me ! PR: Are you a croissant addict? MARION ROUSSIGNOL: Thanks God I’m not addicted to it, but I really enjoy having a croissant and a café as a breakfast once in a while. MARION ROUSSIGNOL: Having a walk along the Seine or upon bridges , Normandy deserves a quick trip for its free enjoyable places … sea, countryside and breathtaking landscapes. PR: What is your favorite tourist spot in Paris? MARION ROUSSIGNOL: Le Louvre , for all the temporary exhibitions, you never get bored nor tired of it. PR: Marion, the best place to shop? MARION ROUSSIGNOL: You can find a treasure in almost every street of the city! But I enjoy walking down the streets in Le Marais. PR: How about place for shoes shopping? MARION ROUSSIGNOL: Rue Jean Jacques Rousseau …small Louboutin shop in the corner! It’s worth it! Even for window shoppers and antiques aficionados, this area is wonderful. PR: Who does your hair Marion? MARION ROUSSIGNOL: I cut them myself sometimes! Or I go outside Paris, I need to find a cheap and nice hairdresser …I also go to Coiffeur 27, Rue Oberkampf ! PR: The best place in Paris for a beauty treatment? MARION ROUSSIGNOL: A friend of mine does it for me : skin regeneration ! PR: Where is WM agency located? MARION ROUSSIGNOL: In the best area of Paris : Le Marais (in the 3rd) , hidden in a narrow street. PR: Tell us more about the Paris metro system.